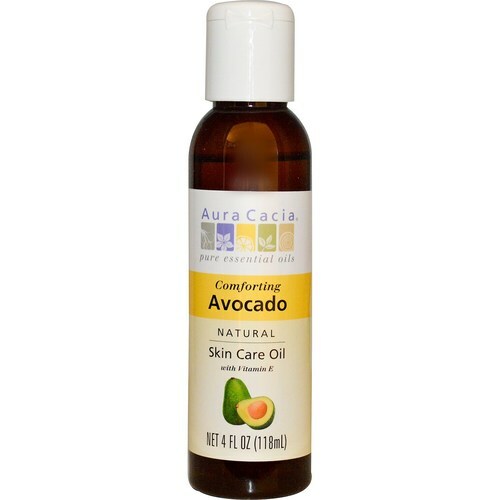 Aura Cacia Comforting Avocado Natural Skin Care Oil contains 100% pure botanical ingredients. Warnings: This product is the natural oil of ripe avocado. Therefore, cloudiness may occur or particles may appear in the oil. Not tested on animals. Store tightly closed in a cool, dry place. For external use only. Ingredients: Persea americana (avocado) oil, d-alpha tocopheryl acetate (vitamin E acetate). Recommended Use: Use as desired for massage or skin care. Combine 1 to 2 drops of Aura Cacia essential oils per teaspoon of skin care oil for added benefits.